(German) An instinctive impulse to rove and travel about….. I am organizing a youth group. Do the kids need their parents to sign anything? Yes, all participants under 18 must have their parents sign an acknowledgment of risk form. Please click the link below to access our form. If you print the form please make sure that it is on one page. Any participant under the age of 18 without their parents signature on this form will not be able to raft. Yes, please click the link below. 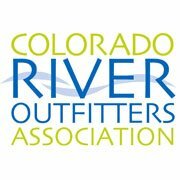 How do you choose a reputable outfitter? Going with the right outfitter could be the most important decision you make on your vacation. 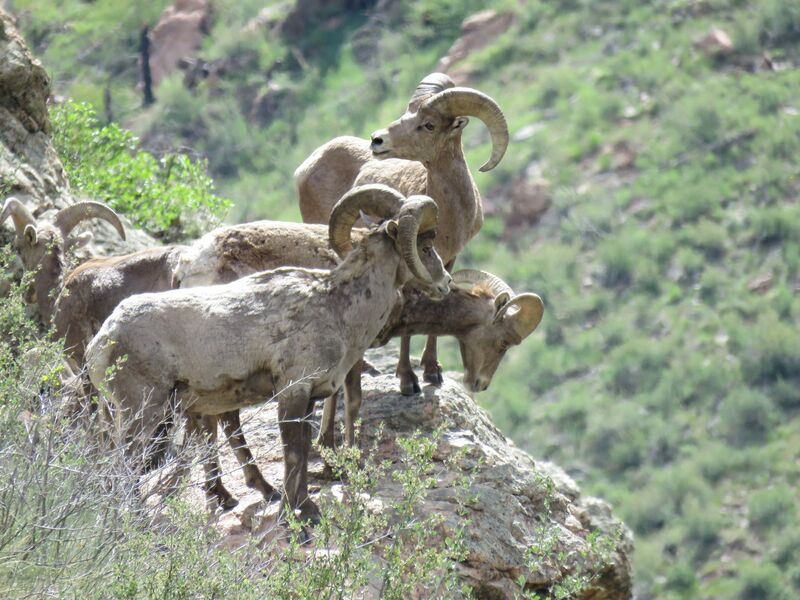 Some important areas to look into are: How many years has the outfitter been in business? What is their safety record? How experienced are their guides? Do they have first year guides? What is the average age of their staff? How new is their equipment? Do they offer a trip suitable for my group? What equipment is included? What is the cancellation policy? The right answers to these questions should narrow down your options. 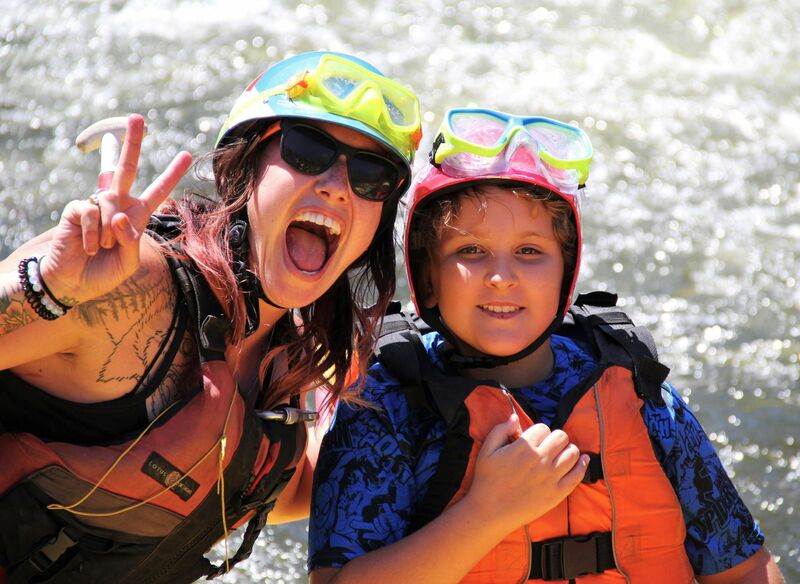 How much experience do I need to go rafting with you? We offer a variety of trips for both beginners and advanced level enthusiasts. 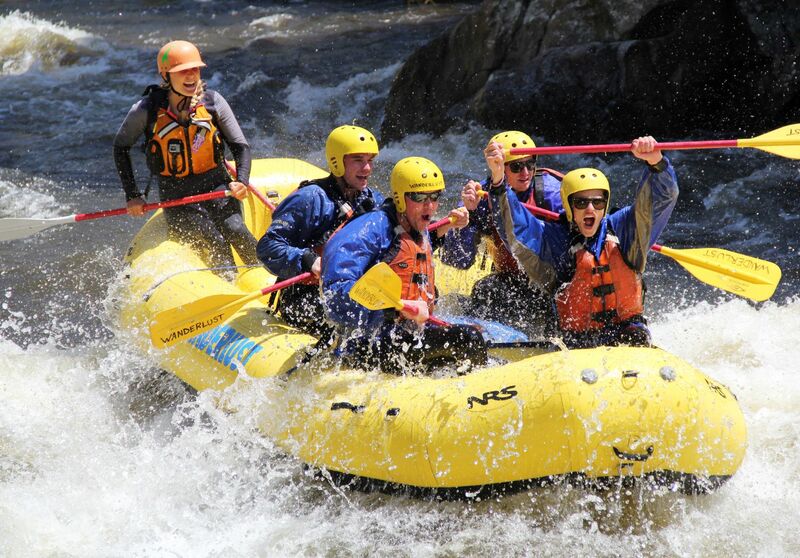 If you have never rafted before and are a little apprehensive, we recommend trying our Taste of Whitewater trip. We do take beginners on our Class IV rated Blast Trip; however, you need to be in good physical condition and able to paddle hard through many continuous rapids. You are on the river for about 2.5 to 3 hours on the Blast Trip and although you are not paddling the entire time, you do paddle frequently. When do you start rafting? Our season usually starts on May 15th and runs through Labor Day. Should we raft in the morning or afternoon? We generally recommend to go rafting in the morning. Everyone always wants to go rafting in the afternoon because they think that it will be warmer at this time. It is generally warmer in the afternoon but the morning temps are not that bad. The temperature can be quite nice in the morning when you are putting in for your trip. We generally launch between 10:30am and 11am on our morning trips. It can be in the upper 80’s to mid 90’s at this time. We also can receive afternoon showers in July and August. Mornings are usually clear and beautiful. Because everyone wants to go rafting in the afternoon it can be quite crowded on the river. 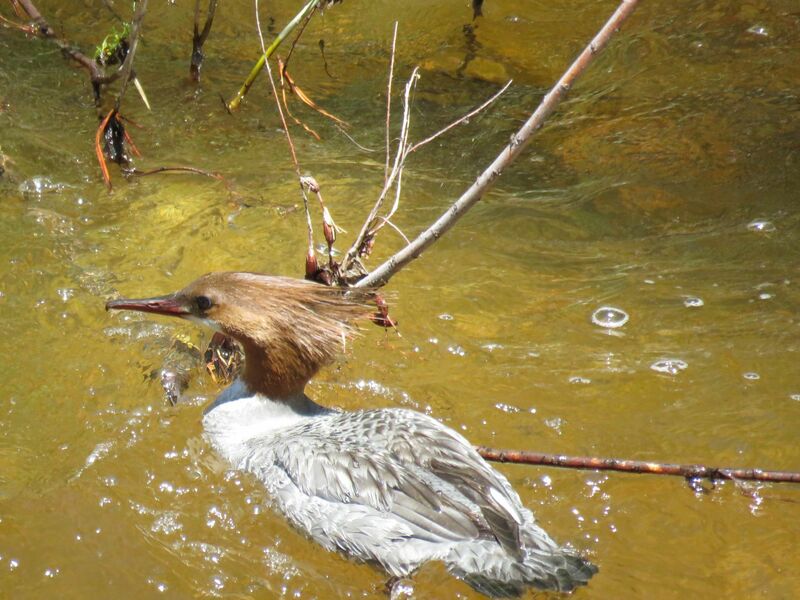 Our morning trips are usually smaller and the river is generally less crowded at this time. 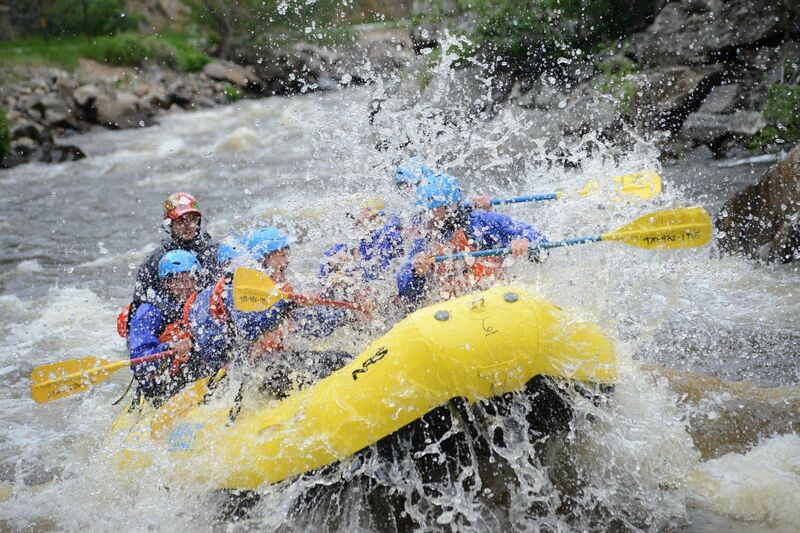 Does anyone raft right in Estes Park? No. 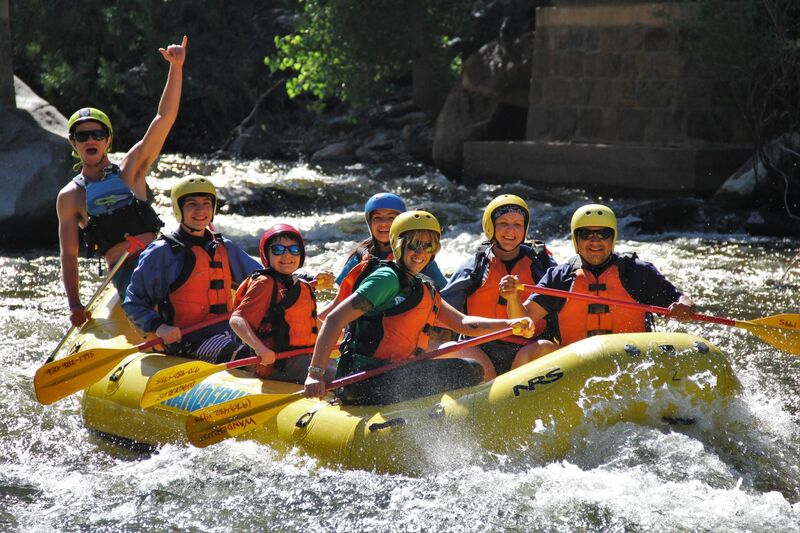 The closest river to Estes Park that offers whitewater rafting is the Poudre River which is the river that we raft on. It takes approximately 80 minutes to get to our location on the north end of Fort Collins, Colorado. 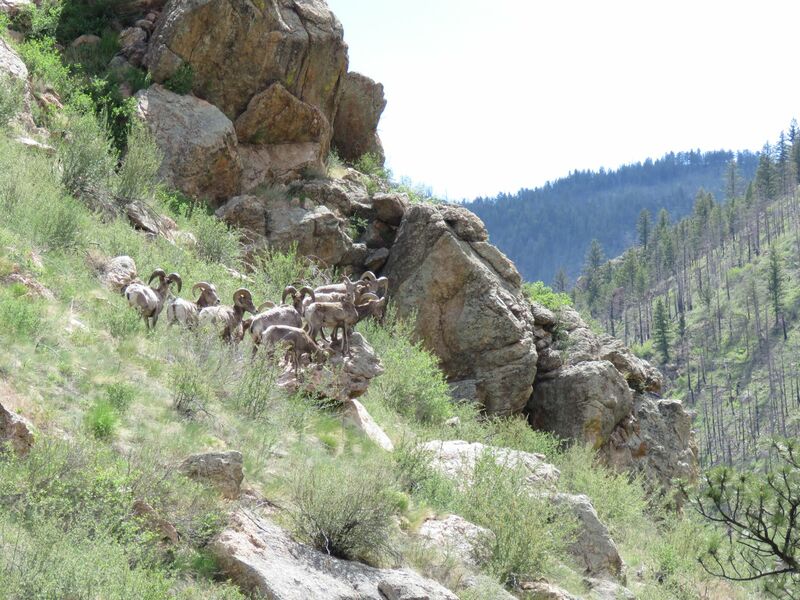 The only river that we raft on is the Poudre River. 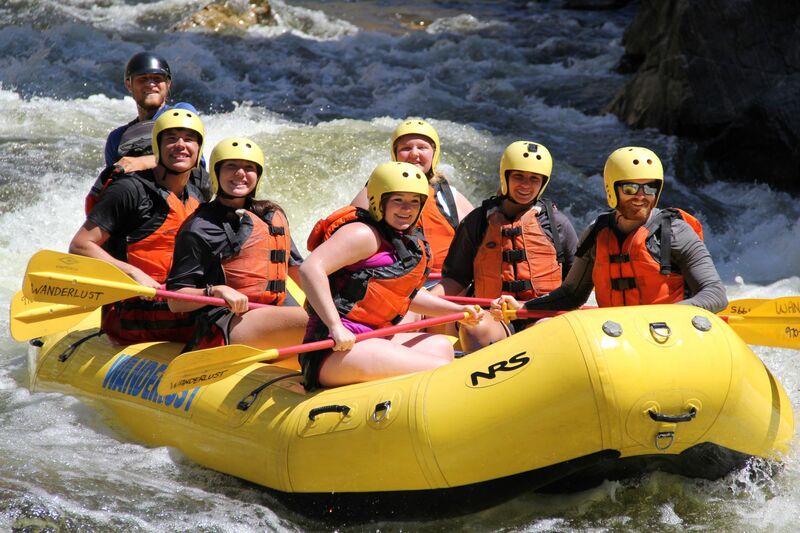 Many Poudre River rafting companies advertise in Estes Park because that is where most of our guests are staying and we offer the closest rafting to Estes Park. 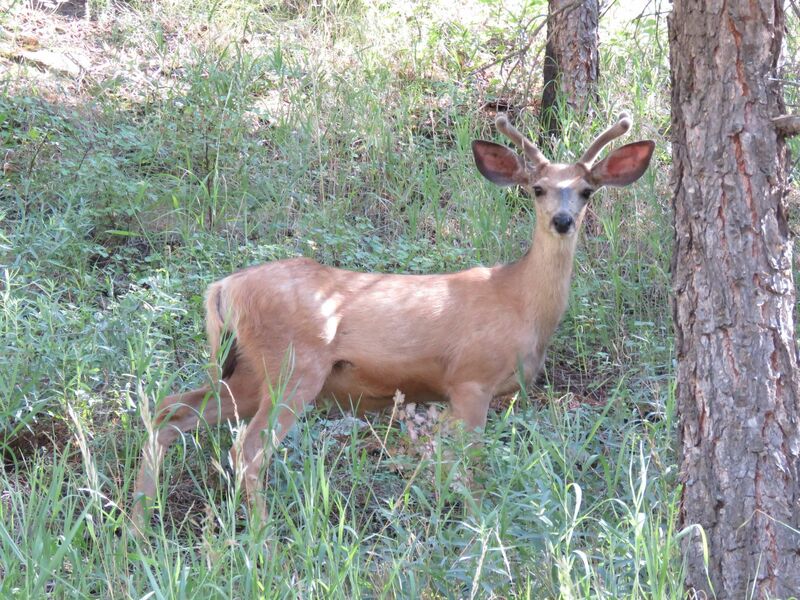 Should we drive ourselves from Estes Park or go with a company that offers transportation? We highly recommend driving your own car to raft with us on the Poudre River. The drive is very easy and so are the directions. You only need to make two left hand turns to find our location on the north end of Fort Collins. You will save time and money if you drive your own car and be on your own schedule to eat at our restaurant or visit Fort Collins. You will also be able to enjoy the conveniences of comfortable seats, extra room and air conditioning that your vehicle provides. Is whitewater rafting a dangerous sport? 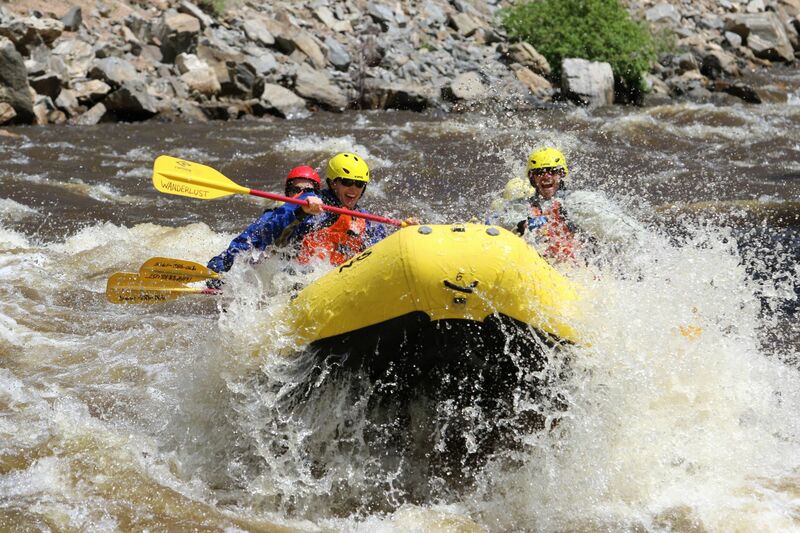 Rafting is an exhilarating sport that does have inherent risks. These risks add to the excitement and are the reason why people go rafting in the first place. Our staff is trained to minimize these risks. 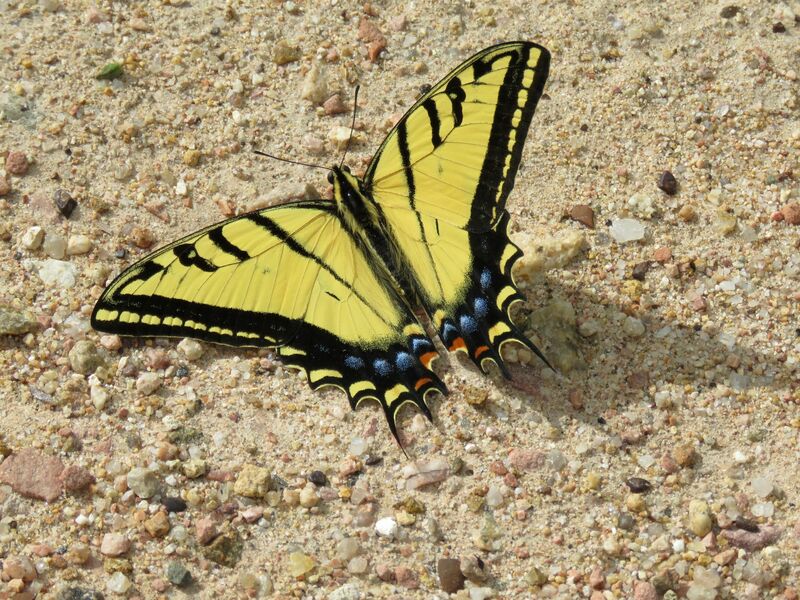 Wanderlust has one of the best safety records on the Poudre River and has the most experienced guides available. Before every trip our guides conduct a thorough safety orientation that will answer any questions you might have. I can’t swim. Can I still go whitewater rafting? All participants are provided a Type V Coast Guard Approved Lifejacket and you are taught what to do if you find yourself in the river. We do take non-swimmers on our Taste of Whitewater Trip but do not recommend a non-swimmer participating on our advanced half day class IV trip. 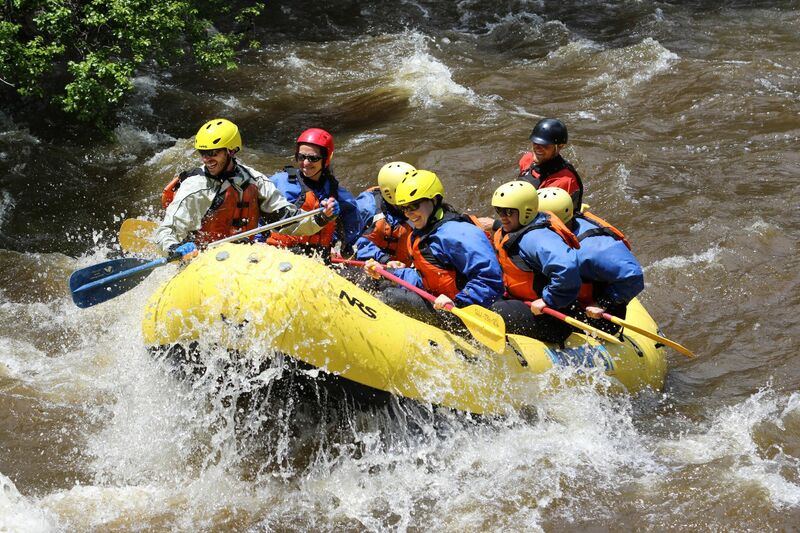 You should be comfortable in water if you choose rafting on our Blast of Whitewater Trip. What safety training do guides get? 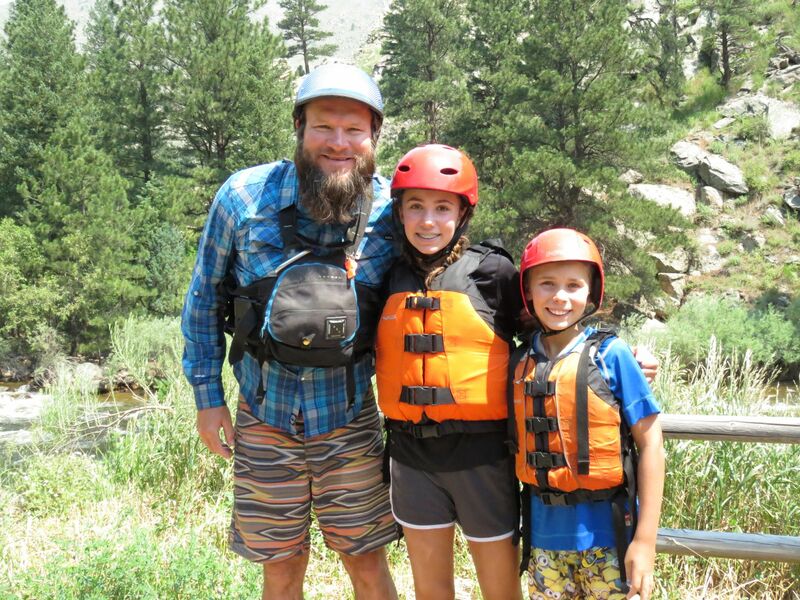 We are proud of our staff and believe they are the best guides on the Poudre River.Our guides are certified in CPR, First Aid and Swift Water Rescue. Some guides have Emergency Medical Technician or Wilderness First Responder training. 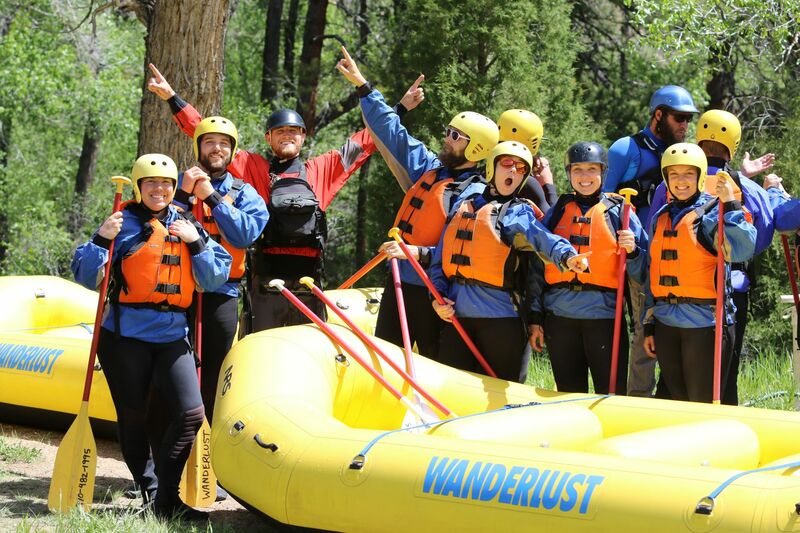 Wanderlust guides have an average of eight years rafting experience. Our staff returns year after year to work for a professional and fun company that they care about. 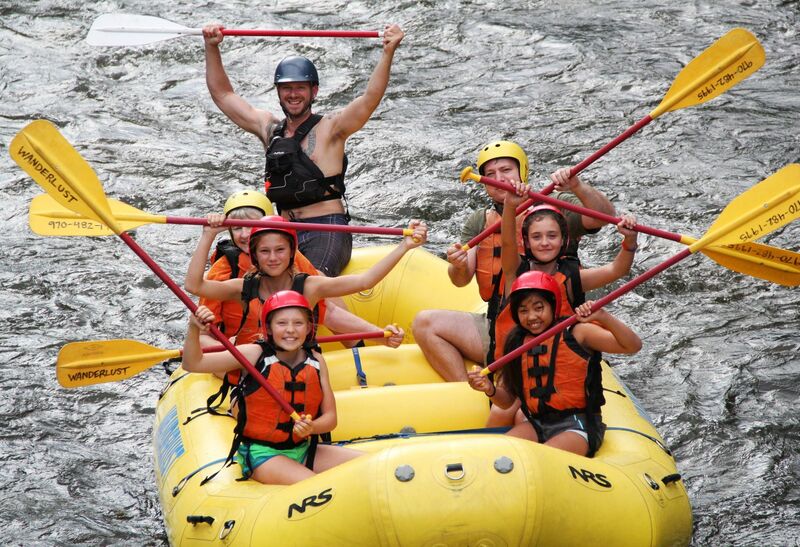 Is rafting strenuous? How fit should I be to go rafting? We run paddle rafts on all of our trips. Because of this all participants are required to paddle. Paddling is fun and all guests are encouraged to paddle hard when needed. Paddling is important on all of our trips; however, it is more important and strenuous on our more extreme Blast of Whitewater Trip. On this advanced trip you are not paddling the entire time, but you will be paddling frequently to maneuver the raft, especially through all of the continuous rapids. We do recommend that you are in good physical condition if you choose the Blast of Whitewater Trip. The Taste of Whitewater trip is open to a wider range of participants. I have children under 7 years old. Can they go rafting? No. Our minimum age for the Taste Trip is 7 years old and the child must weigh at least 50 pounds. We do not have a trip available for children under 7 years of age. I have never been rafting. Which trip is best for me? 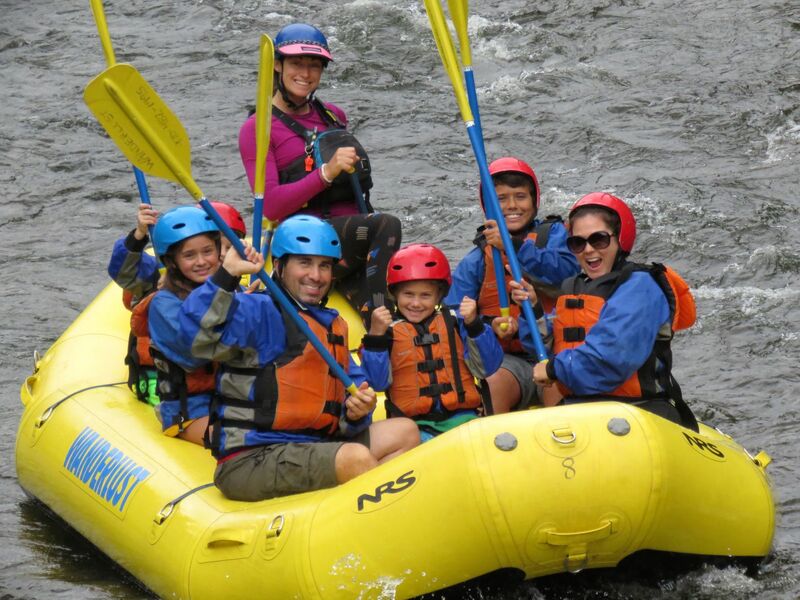 We generally recommend rafting on our Class III Taste of Whitewater Trip if you have never rafted before. We do take beginners on our Class IV Blast Trip, but recommend that you be in good physical condition and able to paddle hard through many continuous rapids. Both trips are exciting and have many rapids. We do not offer any float trips. YES, once we reach our Forest Service limits, we have to turn people away. The sooner you call, the more likely you will get your desired time and date. Yes, we offer online reservations . We encourage you to book your trip online and it is really easy to do. After you book your trip we will email you a receipt and a confirmation with all of your trip details. You can also call us at 970-482-1995 and our office staff will be happy to answer any of your questions and help you get set up with the best trip for your group. We require full payment to confirm your reservation. If you are booking your trip before June and you can only pay a half deposit, please give us a call. We accept Visa, Mastercard & Discover. Five days notice required for a full refund. No refund for any reason with less than five days notice. What happens on the trip day? Park cars at Vern’s and enter the garden level. Check in with our staff at designated time. Pick up a life jacket, a helmet and on cool days a fleece pullover and splash jacket. Wetsuit and insulated footwear rentals are available. Listen to a safety talk, then take a short bus ride to the launch area. Unload rafts, get paddling instructions and shoot the rapids! After the rafting adventure, return to Vern’s to look at photos and t-shirts. Please arrive at the check-in times provided with the trip descriptions. There is no need to arrive sooner than the check-in times. We allow 45 minutes for groups to get checked in, geared up and presented with a safety orientation. We generally depart about 45 minutes after the check-in times for each trip. Eight person self-bailing rafts with foot holds and grab lines are used. Coast Guard approved Class V rated life jackets and helmets are worn by everyone. We provide all river-related gear including Coast Guard approved Type V lifejackets (PFD’s), helmets, water proof paddle jackets and fleece pullovers. Also included in your trip is transportation from the meeting place for each trip to the river and back. All trips are provided with an experienced professional guide. Wear sunglasses, quick drying shorts and shirts (avoid cotton) and secure footwear (no flip-flops or croc sandals). Bring a towel, sun screen and a change of clothes. Bring a swim suit or pair of nylon shorts to wear under the wetsuit. We recommend chums for prescription glasses or expensive sunglasses. We do not offer lockers. We collect guests’ car keys when you enter our vehicles and recommend that you leave all of your belongings locked in your own vehicle. It only takes about 10-15 minutes to drive back to our meeting area after all of our trips. Are photos taken of the trip? Yes, we do have a photographer following the trip taking many HD digital photos. We try to take at least 15-25 photos of each raft and also offer a HD video of one of the biggest rapids on your trip. We upload your photos to Dropbox.com and email you a link within 24 hours of purchasing your photo package. Your package includes all of the photos and videos taken of your raft for the great price of $49. Gratuity is not required at our company but our staff certainly does appreciate it. If you feel that your guide did an excellent job providing you with an exceptional, entertaining and educational experience, feel free to reward them accordingly. We don’t recommend bringing expensive cameras on trips, especially if they are not waterproof. 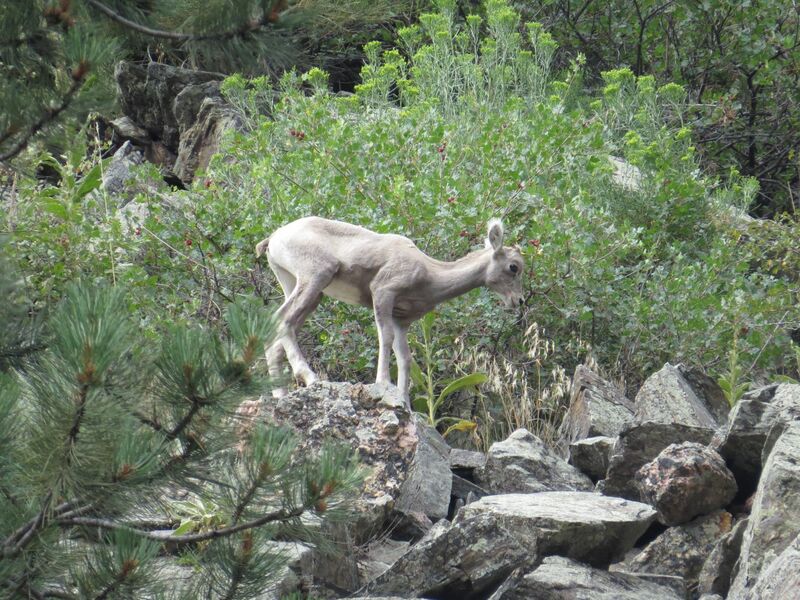 Our trips have photographers taking photos and video at specific locations on your trip. Yes, we have two bathrooms in our retail store and more restrooms in the restaurant above our retail store. There are also restrooms located at the Put In locations for all of our trips. Above our retail store we have Vern’s Place, a popular restaurant that has served home style food for 70 years. There is also a convenience store, outdoor patio, gas station and bakery located at our meeting area. Should I bring water or a towel? We do recommend that you bring water on all of our trips. We recommend bringing a water bottle that can attach to the grab lines in our rafts or leave the water on our bus. Please remember to collect your water bottle after the trip. 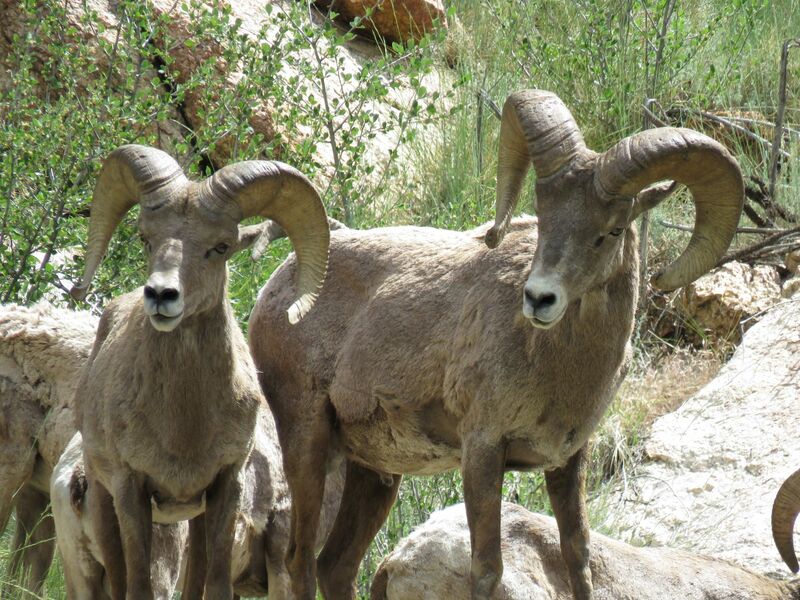 Towels can be left in your vehicle for after the rafting trip. Space is limited on our bus, so towels and personal gear usually get soaked on our vehicles so that is why we recommend leaving them in your own cars. An acknowledgment of risk form must be signed before participating. We must be notified about any medical conditions of anyone in your group. Alcohol or drug use is strictly prohibited. A Wanderlust Adventure has the authority to cancel your reservation if we suspect you are under the influence of alcohol or drugs. Class I: Easy – Fast moving water with riffles and small insignificant waves. Few obstructions that can be avoided. Class II: Beginner – Straightforward rapids with wide, clear channels. Occasional maneuvering may be required, but rocks and medium sized waves can easily be missed. Class III: Intermediate – Rapids with moderate, irregular waves, often narrow channels, maneuvering to avoid obstacles required. Class IV: Advanced – Intense, but predictable rapids requiring precise boat handling in turbulent water. Large, unavoidable waves and holes. Complex channels with many significant obstacles to be avoided. Exact maneuvering required. Class V: Expert – Extremely long, obstructed, or very violent rapids. 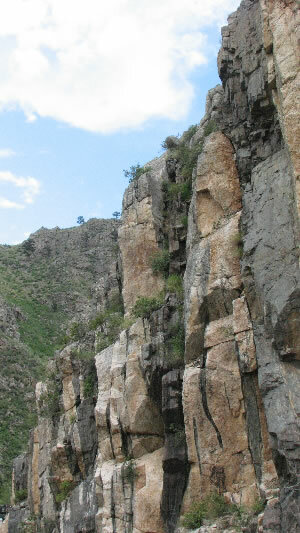 Drops may contain large, unavoidable waves and holes or steep, congested chutes with complex, demanding routes. Class VI: Extreme – Often considered unrunnable these runs have almost never been attempted and often exemplify the extremes of difficulty, unpredictability and danger.